Give the gift of an adventure they won't soon forget! They're perfect for any occasion. Expedition Escape provides gift cards that you can easily purchase right online! Give them the gift of challenge and adventure! Perfect gift for birthdays, anniversaries, holidays, or any special event! Lucky you! 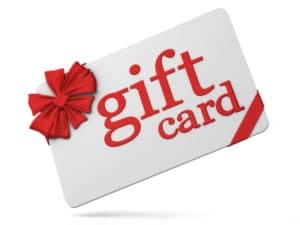 You received a gift card for an Expedition Escape adventure! 1) Click on the “Reserve Now” or "Make a Reservation" button. 2) Choose your location and room, then follow the steps through the reservation process. 3) Above the payment area, click “Apply a gift card”, there is a space to enter the unique code found on your card.